The ripples over the loss of three National Assembly seats by the People’s Democratic Party (PDP) in Bayelsa State to the All Progressive Congress (APC) on February 23 have triggered a cold war in the state chapter of the PDP. Some PDP political leaders of the Bayelsa East Senatorial District especially from Ogbia Local Government Area and Governor Henry Seriake Dickson and many of the leaders feel slighted with the shabby treatment meted out to them when candidates for the various elections were being picked by the governor. The PDP lost two House of Representatives seats, namely Nembe/ Brass federal constituency and Southern Ijaw federal constituency. In the former, the only lawmaker of the APC in the state House of Assembly, Hon Israel Sunny- Goli won a landslide victory, polling 41, 150 votes to defeat Mrs Maria Ebikake of the PDP by 19,279 votes, while in the former, Hon Preye Influence Oseke of the APC in another landslide victory defeated the incumbent Speaker of the State House of Assembly, Hon Konbowei Friday Benson, polling 56,804 as against 34,105 polled by Benson. The biggest defeat suffered by the PDP was the Bayelsa East Senatorial district where the APC candidate, Barakumo Degi Eremienyo polled 43,303 to defeat the PDP candidate, Mr Ipiganzi Izagara Blessing who polled 32,363 votes. The party would have also lost the Ogbia Federal Constituency to the African Democratic Congress candidate, Mr Rex Ogbuku, if not that the state Commissioner of Information and Orientation, Mr Daniel Iworiso- Markson and the Special Adviser on Grassroots Mobilisation, Captain Ozu rallied around the candidate of the party, Mr Fred Obua to secure victory. Although the state chapter of the PDP and Dickson insist that APC connived with INEC and security agencies to subvert the will of the people, the defeat has left a bitter taste in the mouth of the PDP in the state with the party taking notes of those that were believed to have contributed to the fall of the party. According to investigations, some leaders of the party from Bayelsa East, mostly political associates of former President Goodluck Jonathan are likely to be sanctioned by the party for their anti-party role which resulted in the loss of the party in the election. 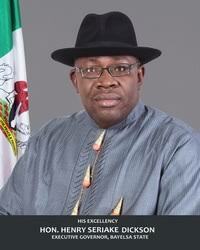 Our correspondent gathered that many of the political leaders from the Bayelsa East had complained how Dickson did not have regard for Jonathan and even the state deputy-governor so as allow them to make input in the choice of candidates for the various elections from the area as he practically picked all the candidates without recourse to leaders of the party in the area. Sources said the fate of PDP candidates in the March 9 House of Assembly election hangs in the balance as their election would be sabotaged by the aggrieved political leaders to give their opponents victory so as to send a message to the governor that they are relevant. A group, Ogbia Renaissance, had some time ago, raised the alarm that political associates of Jonathan were working against the interest of the party and called for disciplinary action against them by the leadership. Governor Henry Seriake Dickson had earlier in the build-up to the election accused political leaders from Ogbia and Bayelsa East of mischief and blackmail in order to pave way for the anti-party role they intend to play against the party. He had warned that the party was taking note of their action and would take appropriate steps at the right time.